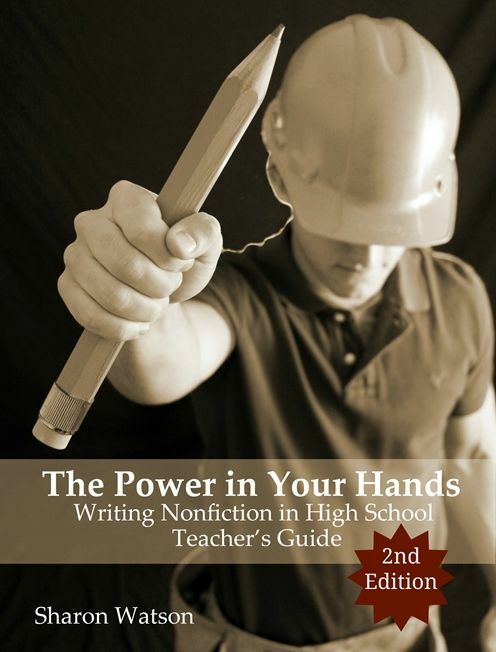 Writing with Sharon Watson has become a staple in our homeschool curriculum. It has really helped my children with writing. 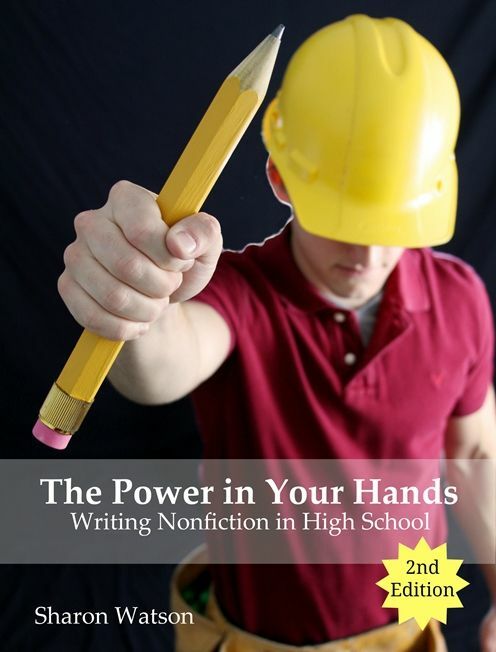 I was excited to review The Power in Your Hands: Writing Nonfiction in High School, 2nd Edition with my 17 year old. Writing is a constant struggle, especially with my boys. They need much structure in their writing and learning. They aren't to the place yet where you can give them a topic or thesis and have them run with it. Sharon Watson does a fantastic job of breaking the tasks down, and making them understandable for the student. and then a Reference section as well. Under each part are from 1 to 20 chapters to work through. There are 117 daily lessons and plenty of writing prompts. I can easily call this a full year of work for writing. Combined with grammar and some reading, it easily would be a year credit in English. The instruction is dual level meaning it works for beginner to accomplished writers. I love that aspect! Mine kids are beginner now, but if I have an accomplished writer later, all we need to do is purchase an additional Student Text. The Teacher Guide has been most helpful to me. It explains and outlines everything for me, so that I am not doing any additional research or work. With 7 children, having the curriculum ready to use is a must! In addition to instructions, the Teacher Guide also gives a in depth rubric for grading. If you are like me, you have no clue how to grade a child's writing work. I have long struggled with that, and the help Sharon Watson gives will go with me through other writing assignments my children do. Writing Prompts are called 14 minute Power Surges. Sharon gives us 4 prompts a week, one for Mon-Thurs. These are meant to take 14 minutes of writing, without being graded. We have always done a daily journal with writing prompts so this isn't something new for my kids. I love her ideas though and plan to use them daily with the 17 year old and my 14 year old as well. On Friday they choose their best paper, correct it, rewrite it and turn it in Monday. I need my kids to get a 'homework' feel, especially as they near college. To have something 'due' and to have to set aside time to work on it. I chose to do four lessons a week, giving Friday for catching up or if we had errands to run. That also gives time Friday for tweeking the Power Surge, and working on papers. Over the course, there are 21 papers that will be written. You might not want to tell your reluctant writer that in the beginning! This is going to help prepare them for college, and believe me, with 2 kids already in college, they Will Need to know how to write! This is an excellent, informative, and fun way to help them on the right track! See what my Crew Mates thought of this program by clicking on the banner below. Hi, Melanie! Thank you for your sweet review of The Power in Your Hands, 2nd Edition. I'm so happy you like the 14-Minute Power Surges. I began those with my own children as a way to ease them into the idea of writing. I still have a few of their compositions, and, believe me, they are precious to me now that everyone is grown up.